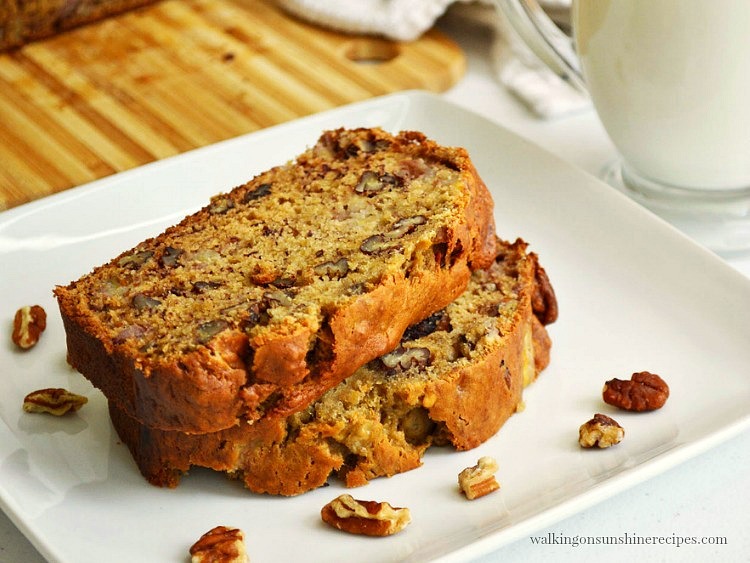 Banana Nut Bread with a hint of maple syrup. Yummy pecans add the perfect crunch. It’s an easy and delicious quick bread recipe your whole family is going to love. 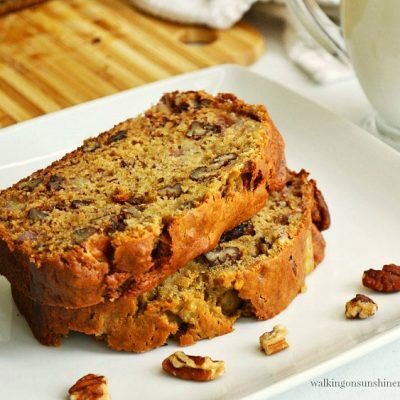 Homemade Banana Nut Bread doesn’t get any easier than this delicious recipe! And what’s even better is there’s a hint of maple syrup added to the batter to further enhance this delicious, moist recipe! 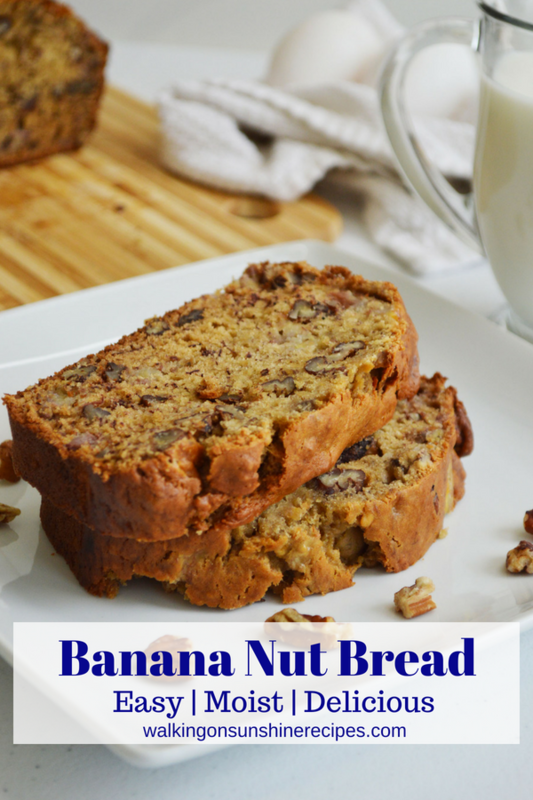 One of my favorite quick bread recipes is banana bread. This recipe has pecans but you can easily use walnuts if that’s all you have on hand. 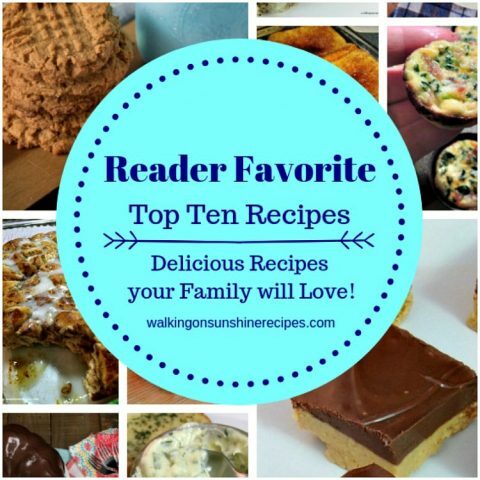 I love the added maple syrup to the batter and think you will too. Here are some helpful tips for storing bananas, because we all hate when they get ripe way too quick, right? Never store bananas in the plastic produce bags. Always store bananas at room temperature; never in the refrigerator. Separate the bananas from the stem when you bring them home. Place them in a basket or on a plate on your counter individually. Wrap the stems of the bananas in plastic wrap. This will prevent ethylene gas which is produced naturally during the ripening process from reaching other parts of the banana causing them to ripen too quickly. 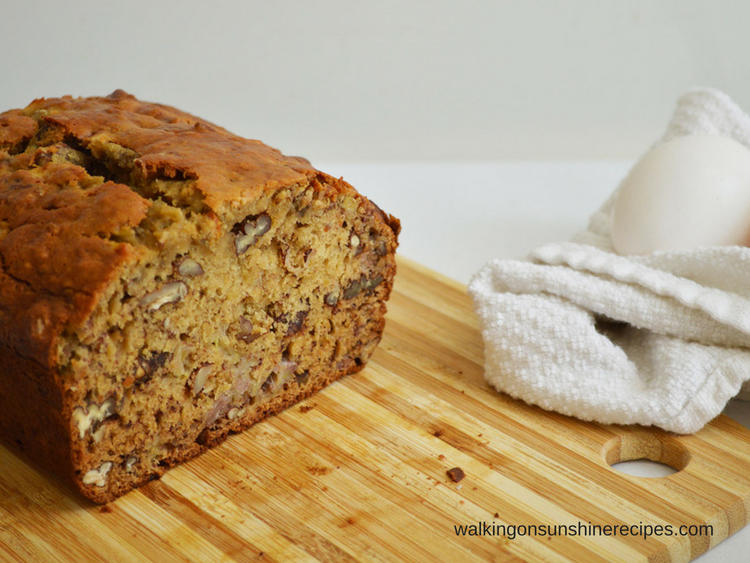 Here are some helpful tips for ripening bananas quickly…because there are times we need a ripe one immediately to use in a recipe like this yummy quick bread. If you need to ripen bananas quickly for a recipe, place the amount needed in a brown paper bag. Or you could simply place the bananas near other ripened bananas in a bowl. Do not place bananas in direct sunlight. If you slice a banana to use in a fruit salad, you should sprinkle the slices with some fresh lemon juice to prevent the bananas from turning brown. 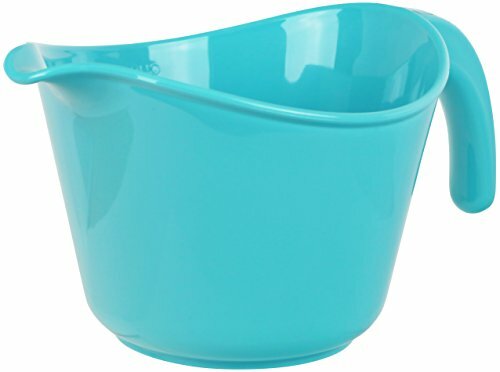 Batter Bowl – in my new favorite color! 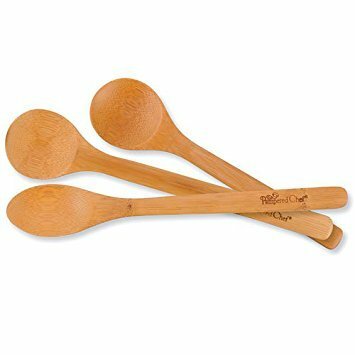 Bamboo Spoons – I love using these! This is a quick bread recipe and can easily be adapted to make muffins. Instead of using a loaf pan, scoop the batter into your favorite muffin pan. Feel free to substitute walnuts for the pecans if that’s what your family likes. Oh and really important, you might want to spread just a little bit of softened butter on top of the banana nut bread…that’s the way I enjoy a slice. In a large bowl, whisk together flour, baking soda, and salt then set aside. In another large bowl, mash bananas, then add brown sugar, and mix. Add in eggs, mix again until just incorporated. Add vanilla, maple syrup, and melted butter, mix again. Slowly add the dry ingredients to the wet, mixing as you add and mix until just incorporated, careful not to over-mix. Gently stir in chopped pecans. 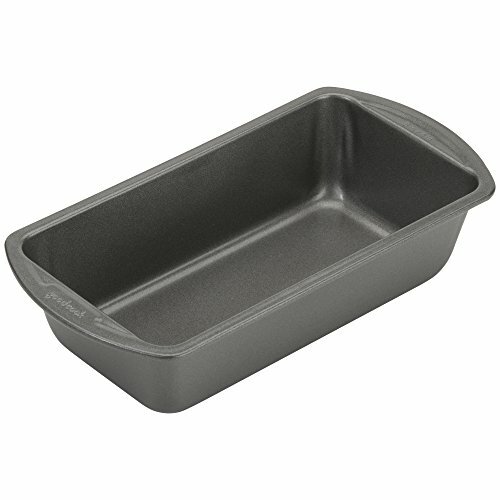 Pour the batter into your loaf pan and bake 50-60 minutes. Homemade Blueberry Muffins – easy basic recipe that’s ready in minutes! 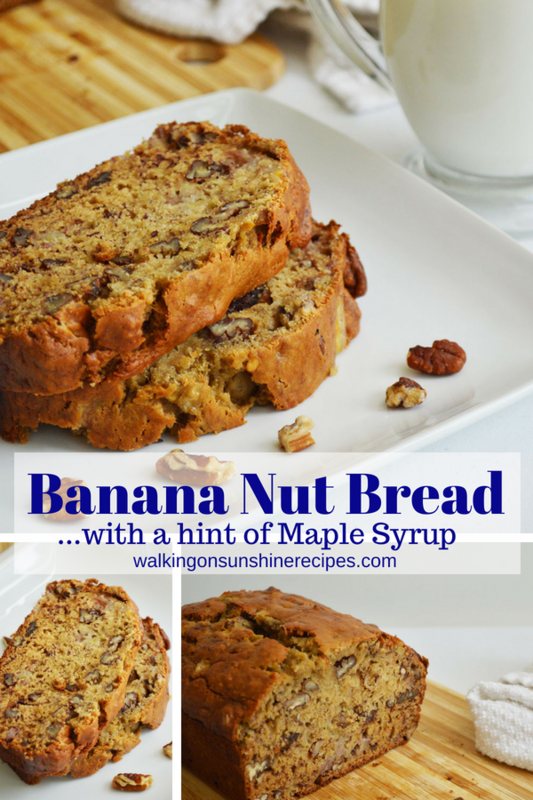 Banana Nut Bread with a hint of maple syrup. Yummy pecans add the perfect crunch. 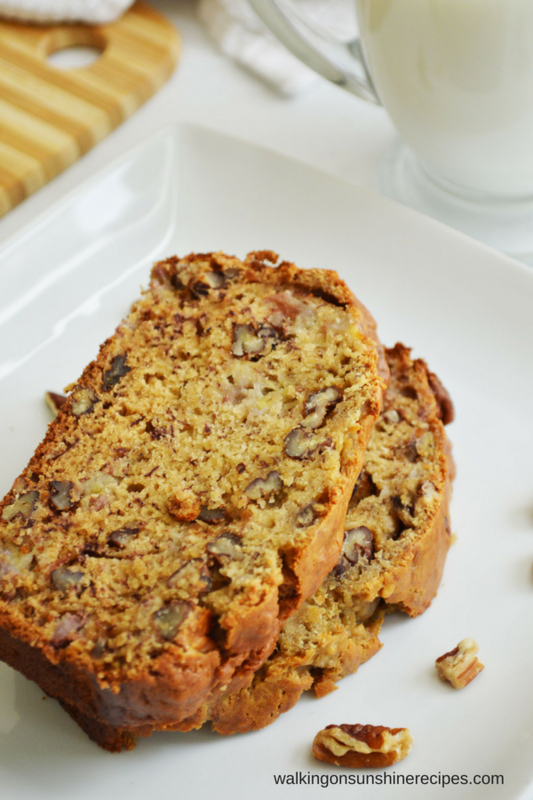 It's an easy and delicious quick bread recipe your whole family is going to love. 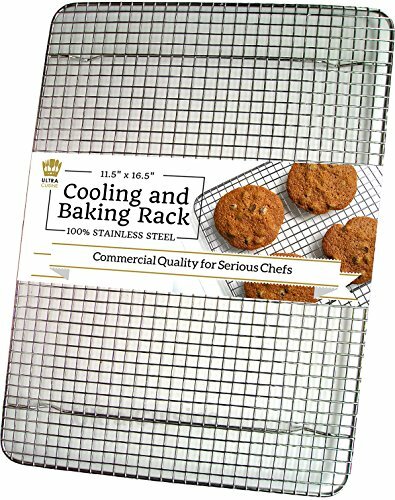 Preheat your oven to 350 degrees, and spray your 9x3 loaf pan with non-stick cooking spray. Slowly add the dry ingredients to the wet, mixing as you add. Mix until just incorporated, careful not to over-mix. Tent the pan with foil for the last 20 minutes or so, to avoid too much browning on top. Let the bread cool, and then serve.